Governor Greg Abbott today declared a state of disaster in 24 additional counties, bringing the total number of counties under Texas’ state disaster declaration to 70. The counties added to the declaration are: Angelina, Burleson, Cherokee, Edwards, Ellis, Fayette, Gillespie, Kaufman, Lamar, Liberty, Leon, Lynn, Madison, Milam, Real, Refugio, Rusk, Sabine, Travis, Tyler, Uvalde, Victoria, Waller and Wharton. Additional counties may be added as the situation develops. 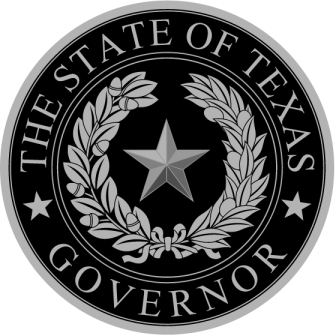 To view Governor Abbott’s disaster declaration, click here. Be extremely cautious of any water on roads or in creeks, streams, storm drains or other areas – never attempt to cross flowing streams or drive across flooded roadways and observe road barricades placed for your protection. Monitor weather radios and news broadcasts for updated information on current and anticipated severe weather in your area. Be mindful that rising and moving water can also threaten people on foot and individuals near recreational waterways impacted by significant rainfall. Stay informed and heed warnings by local officials. Texas Department of Public Safety (DPS): Assisting with reconnaissance, search and rescue efforts, and providing personnel and resources as needed. Texas Parks & Wildlife Department (TPWD): Conducting search and rescue missions during flash flooding/water incidents in affected areas. Texas Department of State Health Services (DSHS): have mobilized resources, equipment and personnel to provide medical assistance as needed. Texas Military Forces (TMF): TMF has deployed aircraft and high-profile vehicles, and continues providing assistance with search and rescue missions as needed. Texas Task Force 1 (TTF1): Air and boat rescue squads have been deployed for search and rescue missions as needed. Texas Commission on Environmental Quality (TCEQ): Continues to monitor dams and river levels in the affected areas. Texas Department of Transportation (TxDOT): Crews have deployed resources to address flooding conditions and debris cleanup impacting roadways. Public Utility Commission of Texas (PUC): Personnel continue to work with utility companies to resolve power/utility issues. Texas Department of Agriculture (TDA): Assisting communities to apply for funds administered by TDA that will help with storm cleanup and rebuilding. Voluntary Organizations Active in Disasters (VOAD): Organizations continue to provide shelter and other mass care needs as requested. Additional partners and resources include: Texas A&M Forest Service; Texas A&M AgriLife Extension Service; Civil Air Patrol; Texas Department of Housing and Community Affairs; Texas Department of Criminal Justice; Texas General Land Office; Texas Health and Human Services Commission; Texas Department of Insurance; Railroad Commission of Texas; Texas Education Agency; Department of Aging and Disability Services; Department of Family and Protective Services; Texas Workforce Commission; Texas Animal Health Commission; Texas 2-1-1; and Texas Department of Information Resources. All Bowie County residents who are interested in seeking assistance for a weather-related expense are encouraged to attend this meeting. Since May 8, AR Gov. Asa Hutchinson has issued disaster declarations for 27 counties across the state. Refugees coming to the United States will be vetted in a way that does not compromise the safety of Americans and Texans.